What Is the Patellofemoral Joint? The patellofemoral joint is where your patella (kneecap) and femur (thigh bone) meet at the front of your knee. The underside of your kneecap sits in a groove within your thigh bone called the patellofemoral groove. Within this groove, the kneecap mostly moves lengthwise, but it has some side-to-side movement and can tilt and rotate as well. When you contract the quadriceps muscles of your thigh, they pull on the quadriceps tendon that attaches to your kneecap. This makes your knee straighten. Two other thigh muscles keep your kneecap in the femoral groove during this motion—the vastus medialis obliquus and the vastus lateralis, located on the inside and the outside of your thigh. These are the types of everyday activities the patellofemoral joint was designed and evolved to perform. It works well, but, like the rest of your body, it undergoes wear and tear from almost constant use over the years. In addition, taking part in sports can lead to overuse and even abuse of the patellofemoral joint. Patellofemoral arthritis occurs when the cartilage along the trochlear groove and on the underside of the patella wears down and becomes inflamed. When cartilage wears away, it becomes frayed and, when the wear is severe, the underlying bone may become exposed. Moving the bones along this rough surface is often painful. Misalignment or repeated contact of the joint surfaces may lead to patellofemoral pain syndrome, which is characterized by joint irritation and inflammation, knee pain, and limited range of motion in the knee. The key symptom of patellofemoral pain syndrome is pain under and around your kneecap. 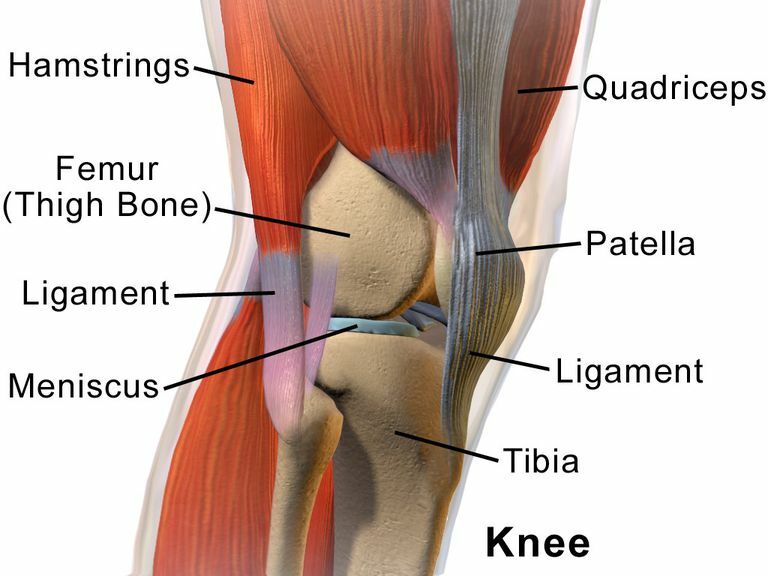 Patellofemoral irritation may also lead to the breakdown of cartilage (flexible connective tissue) on the underside of the kneecap (chondromalacia). In its most chronic form, this condition may require surgical repair. This is a common injury in runners, soccer players, skiers, and cyclists. Symptoms of chondromalacia include a dull pain under or around the kneecap. This may be felt when going down or up stairs or getting out of a chair. Chondromalacia can be due to long-term wear and tear, muscle weakness, or knee-alignment problems, or it can develop after a fall. Having a "high-riding" kneecap (more common in girls), a condition called patella alta, that makes it easier for the kneecap to slip out of the groove and dislocate — for example, because of a strong contraction of the quadriceps or a blow or injury to the knee. Nonsteroidal anti-inflammatory drugs (NSAIDs): Aspirin, naproxen, and ibuprofen reduce both pain and swelling. Exercise: Regular exercise can decrease stiffness and strengthen the muscles that support your knee. If you regularly do high-impact exercise, switching to low-impact activities will put less stress on your knee. Walking and swimming are good low-impact options. Weight loss: If you are overweight, losing just a few pounds can make a big difference in the amount of stress you place on your knee. Physical therapy: Specific exercises can improve range of motion in your knee. Exercises to strengthen the quadriceps muscles will help relieve pressure on the kneecap when you straighten your leg. Cortisone (steroid) injections: Cortisone is a powerful anti-inflammatory medicine that can be injected directly into your knee. In cases when nonsurgical treatments are not effective, a surgical procedure may be the answer. Surgical options range from minimally-invasive procedures to partial or total knee replacement. What Is Patellar Subluxation and How Is It Treated? Is Kneecap Pain Caused by a Patella Injury?